Like her Copper Cow Coffee, Debbie Wei Mullan is a mix of Asian and American. She was raised in San Francisco by her Chinese-Vietnamese mother and American father, and although they assimilated into American culture, growing up, her mom’s kitchen was filled with the pungent aromas and intense flavors of Vietnamese and Chinese home-cooking. 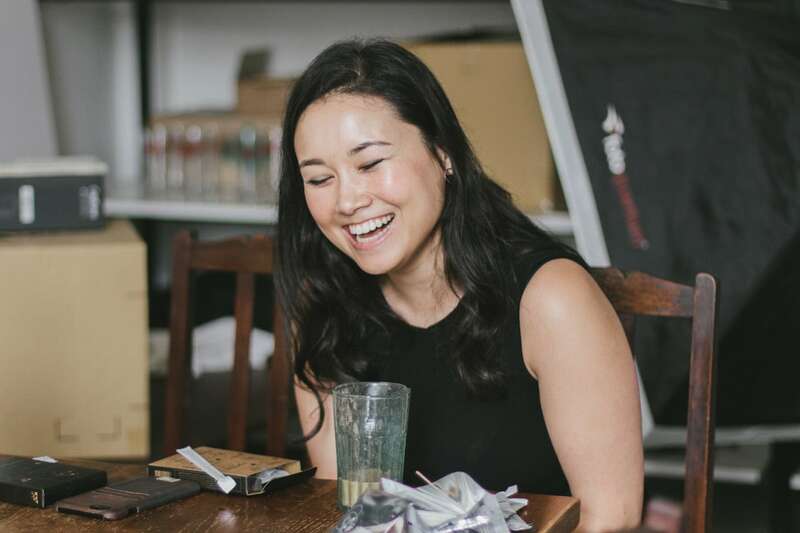 That childhood was the inspiration for her first business project, Wei Pantry, a company with a mission to bring all the flavors of Asian cuisine into America’s homes but without the heavy-lifting. 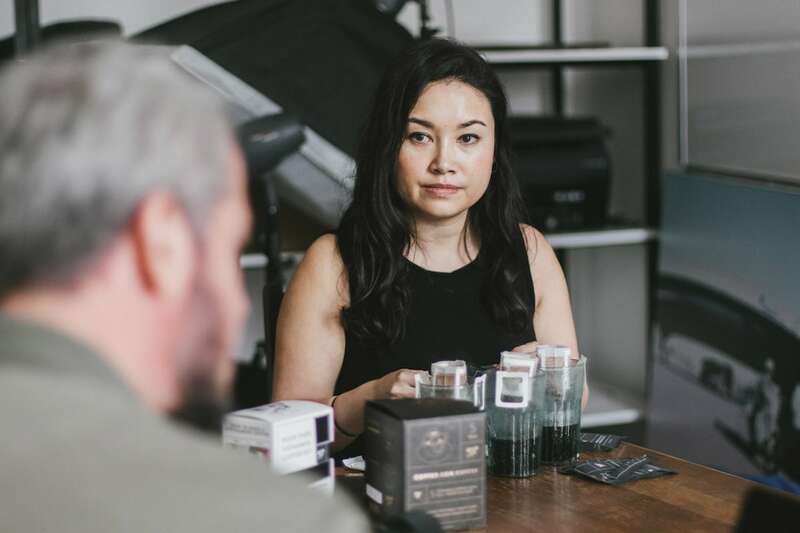 Two years on, and Debbie is revolutionizing the accessibility of Vietnamese-grown coffee with her Copper Cow Coffee company. 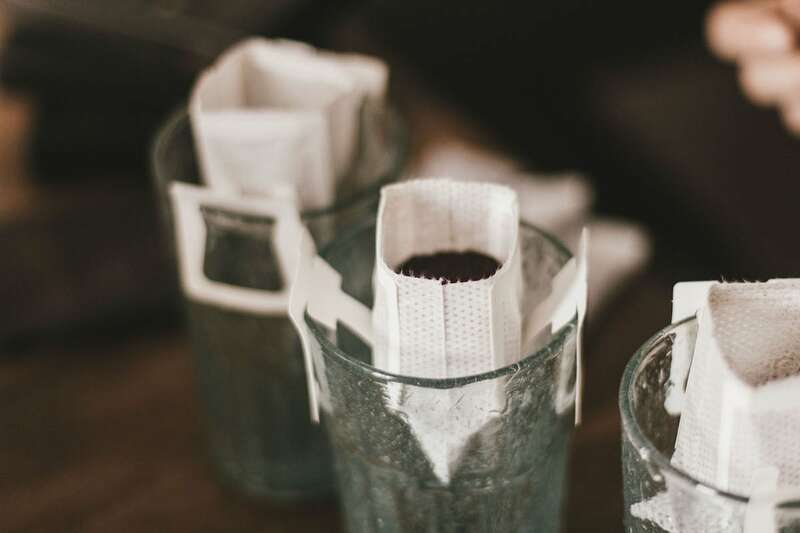 Their travel-friendly packs of pour-over coffee and condensed milk combine beans grown in Dalat with milk sourced from California. Debbie’s a regular visitor to Vietnam as she fine-tunes her latest product. 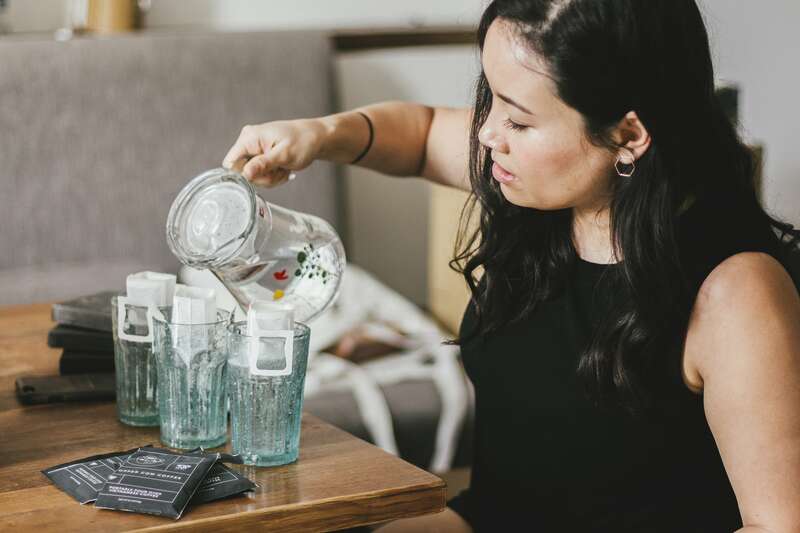 So we invited her over to test out a cup of her Copper Cow together while we learned how she’s tapping into the trend for pour-over and repositioning Vietnamese coffee as a high-end product. What inspired you to create Copper Cow Coffee? I wanted to share one of my favorite things—Vietnamese food and drink culture. And I think coffee is one of the best parts of that culture. 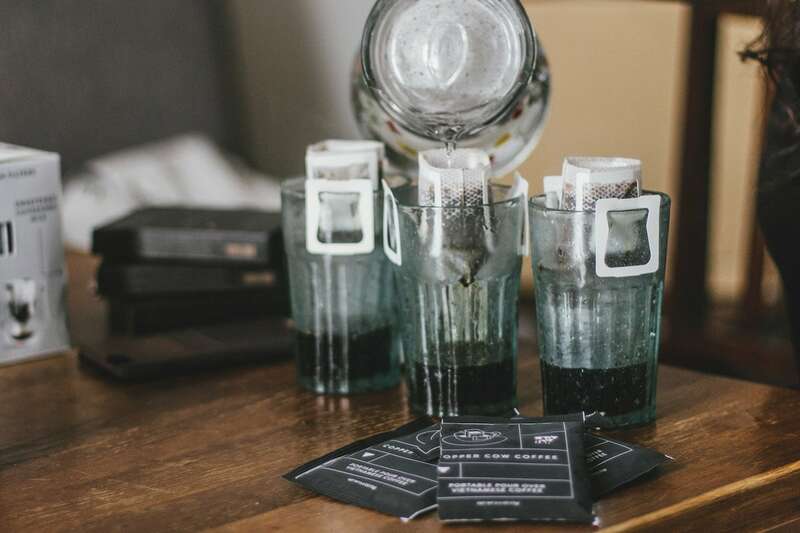 You don’t have to be an expert to prepare a cup, and with Copper Cow Coffee I’ve tried to make it as easy as possible to enjoy amazing Vietnamese coffee. Pour-over is all the rage in the US right now. All the best coffee shops in Los Angeles, San Francisco, and New York, are focused on this method of brewing coffee. Our product is a portable version of that. It’s meant to be made anywhere. But the design, the way the disposable filter sits across the cup, actually comes from Japan. It’s been an incredible experience to be able to combine my heritage with my business. How did your background lead you to produce portable pour-over Vietnamese coffee? I was born and grew up in the US, in California. My mom, who is half-Vietnamese and half-Chinese, always admired America. From the moment she arrived in California as a refugee in 1975, she strived to assimilate in everything…except for the food which she thought was the grossest thing. So, I exclusively ate this mix of Chinese and Vietnamese cuisine in my childhood. In my 20s, I worked for the World Bank. I lived in Beijing and India in the financing of transportation development projects. I was frustrated by the lack of impact I was having and the level of bureaucracy and so I moved to Los Angeles and started Wei Pantry in tribute to the flavors of my childhood. That was two years ago, and now I’ve begun to focus on Copper Cow Coffee. I’m fortunate that what I do allows me to combine my passion for travel with my love of Asian cuisine and Vietnamese coffee. Tell us more about what makes Copper Cow unique? Copper Cow Coffee is a company owned and operated by women. I’m the Founder and I have one employee—just two of us right now. We work with Cao Dat Farm in Dalat. They have a lot of dedication to produce the best coffee and their beans are organic-quality. Originally, I wanted a butter-roasted bean. However, it’s impossible to find one that doesn’t have any additives or flavorings and that would exclude me from most of the locations I sell in. In the packs is also Californian condensed milk. The lining of the coffee pack and the milk sachet is aluminum, which acts like a can, preserving both products for up to a year. How are you helping to change perceptions of Vietnamese coffee into a high-end product? The first thing is to use the best possible ingredients—super clean and high quality. Then you need packaging that reflects the standards of your product. 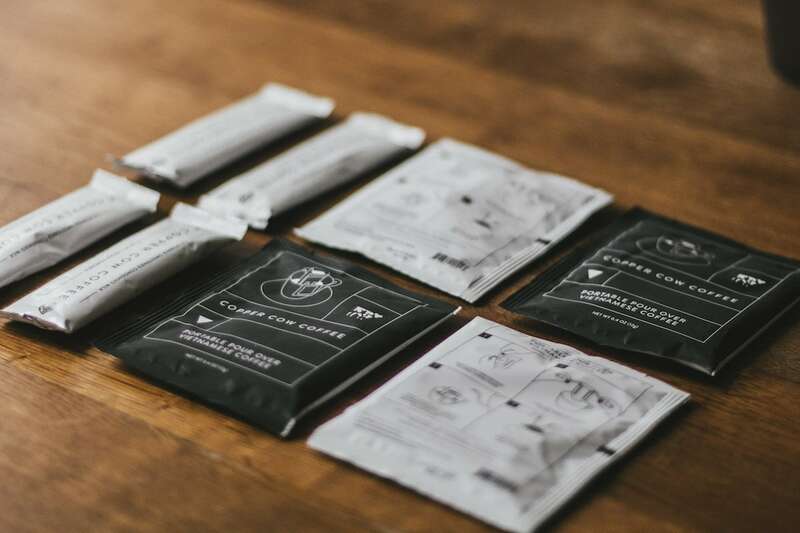 Besides ingredients, the packaging, and branding, we are using social media and our website to support perceptions of our brand as a prestige product. It’s interesting, when I’m traveling in the US and I want to find the best coffee I open Yelp. In the images of cafes, I look for things like wood paneling and industrial furniture because that usually means the coffee’s good! It’s a high correlate. We play on associations like that in our imagery too. And how did the name come about? As we’re trying to change the perception of Vietnamese coffee and educate people about its quality we chose “copper” because it has positive connotations. Cow was a riff on the word “Cau” in Cau Dat Farm, where we source our coffee. So, we started calling it “Copper Cow Coffee” almost as a placeholder until we thought of something more permanent. But we quickly grew to like how it sounded and so it stayed. How is being based in LA supportive of entrepreneurship? I work out of a co-op shared with three other women-owned companies: Teadrops, Salsaology, and Berrybird. We call ourselves “WomenMadeLA.” We all have different products. One is a tea company, another makes Mexican salsa, and the other makes socks that are targeted towards senior citizens—she wants to revolutionize products for older people. We have three full-time employees that we share, a graphic designer, videographer, and a versatile office assistant who can do everything. Which are your favorite spots in Ho Chi Minh City? And which coffee shops should we visit next time we’re in LA? Here in Ho Chi Minh City, it’s Vietnam Coffee Republic, The Workshop, and Shin Coffee. When I’m here I stay in district three on Vo Van Tan. I think that district three is the best for food. It has all these little spots. For example, I often go to Pho Le, and a bo kho place in an alley near where I stay. When people come to visit, I take them to Secret Garden or the Cha Ca La Vong restaurant on Ho Xuan Huong. For me personally, it’s actually so cool coming back here and going to the Chinese area of Saigon around district five and re-engaging with the flavors I remember when I was growing up. In Los Angeles, there’s one cafe called LAMILL on Silver Lake Boulevard that’s a fun place to go. My favorite is one of the originators of the specialty coffee scene there, Intelligensia—they still have the best coffee. Dinh Anh Huan of Cau Dat Farm. He’s a tireless entrepreneur who is passionate about what he does and, despite his success, he still lives very modestly.